After Popular Request it was decided to take the plunge, metaphorically speaking (hopefully), and set a date. It turned out to be a rather “intimate” affair with only two boats but actually an enjoyable and interesting experience for me and hopefully for both sailors. “This will be the first time I have ever met up with someone I only know from the internet” said Allan Ellingworth. And that is a very good point. The only thing we had in common to start with is that we both own a Character Boat and are both quite passionate about it. Is that enough in common to start a companionship of sorts? Evidently yes because we found we had a lot in common, we had stories and experiences to share which were genuinely of interest to the other and we both had knowledge to impart. Cutting to the chase – I think we got on like a house on fire. 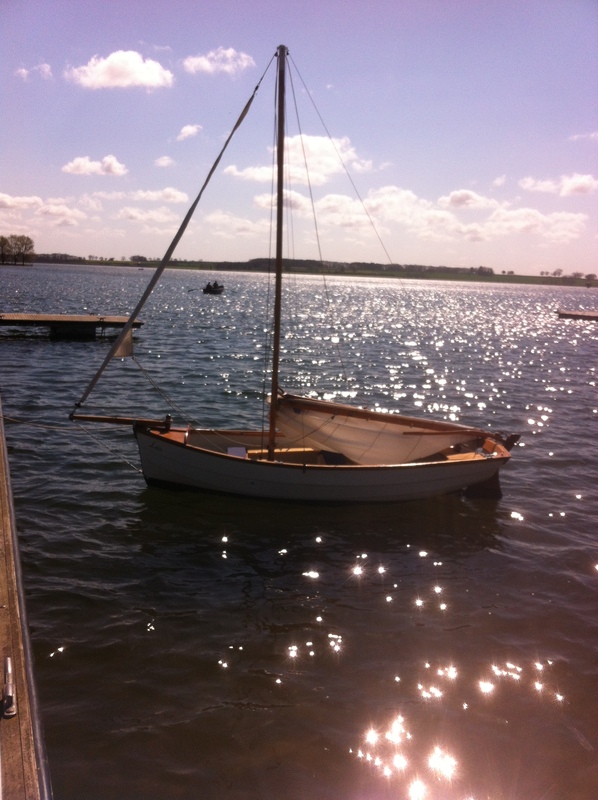 Allen has two boats and is based on the River Medway, the river of my youth. Leia is a 12′ 6″ Lune Pilot. Beautifully well maintained and cared for. Setting a gunter rig she was perhaps a little bit more complicated to set up than the original standing lug and jib of Lune Pilot and a tad faster. To start with we set off each in our own boats and it was fascinating to sail in close quarters with a similar boat. The wind was fresh at around 16 mph and was in the northeast which made an interesting change from normal. There was a chop which brought a fair bit of water inboard. After an hour and half we joined Allan’s wife in the cafe for refreshments and a chat. 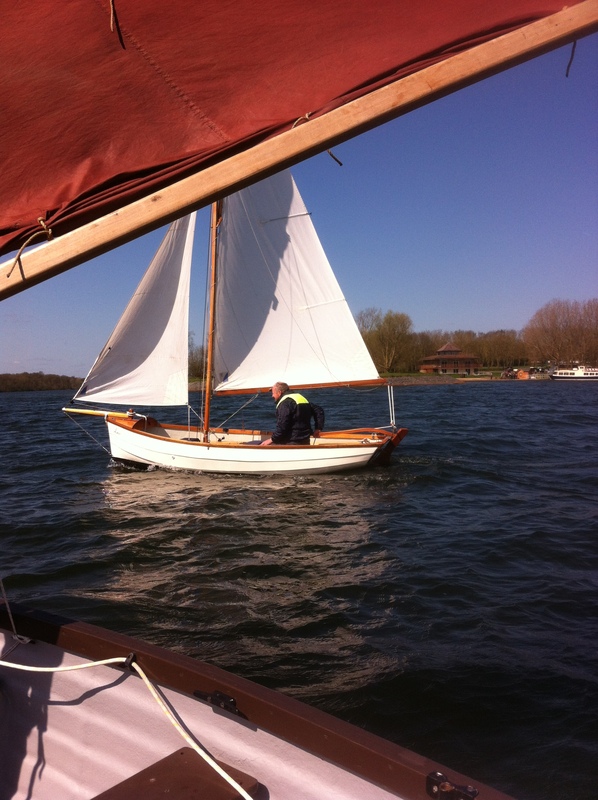 The second outing was the both of us in the Lune Pilot with Allan sailing. I love being sailed in my boat – it give me a chance to enjoy the scenery and take photographs and just lie back an unwind, oh and get rather wet as the chop increased. Allan really is rather a good sailor. His experience in both small and larger boats does show. He was sailing Lune Pilot like it was his own and he was adjusting to the distinct difference of the port tack to the starboard tack of the standing lug like a natural. With good sailors sail trim is natural, they have an inbuilt, what I call, sensitivity for the helm. He’s got it. What an excellent day it was for me. I have been following the post for a meeting in the Lake district but can’t cook up the courage to take time off mid-week. Perhaps another time.